I know I was quiet on here for over a week. A little unusual since I was posting regularly. Rest assured I’m not super sick or life is spiraling out of control as it seems to do when I disappear. I really didn’t mean to. Every time I sat down at the laptop to write this post dialogue, scenes, and ideas swirled through my brain and I had to write them down. I’m not even sure what happened this week other than I spent a lot of time typing on the keyboard. So much so that Chaz was wondering what happened to his wife. He’s never seen me in full-blown creative writing mode. I’m not sure he likes this mode of mine, but he didn’t complain. Finally, I can give you this recipe I keep making this week because I can’t seem to stop eating it. Chaz and I used to eat a lot of port wine cheese years ago. I can’t remember when we stopped buying it, but I started missing it recently and decided I needed to play with a dairy-free version. 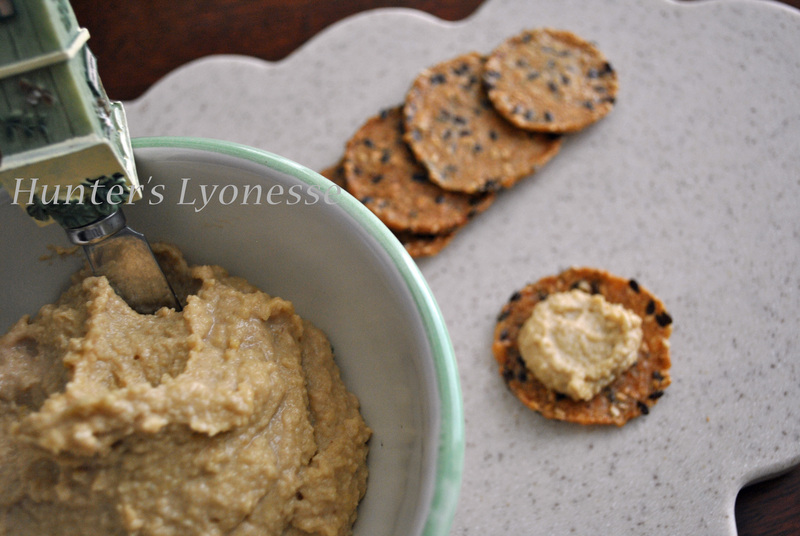 You can eat this with your favorite gluten-free crackers or with veggie sticks. I ran out of celery pairing it with this. If you are vegan, make sure your port wine is vegan like Crusted Port, Single Quinta Port, Traditional LBV, or Vintage Port. Place all ingredients in a food processor and process for a few minutes. Scrape down the sides and bottom as best you can and process for a few minutes. Test it and adjust salt as needed. Repeat scraping down the sides and bottom. Process until it is as smooth as you want and then chill in the refrigerator. You can eat it when it is done processing. Chilling it makes it firmer like a regular dairy port wine cheese would be. This recipe is linked to Wellness Weekends at Diet, Dessert, and Dogs; 5-Ingredient Mondays at The Daily Dietribe; Slightly Indulgent Tuesday at Simply Sugar and Gluten-Free; and Gluten-Free Wednesdays at The Gluten-Free Homemaker. This entry was tagged dairy-free, egg-free, gluten-free, port wine, port wine cheese, soy-free, vegan option. Bookmark the permalink. Love the idea of this recipe! Thanks for sharing at 5-Ingredient Mondays!